“Mark Palmer is back at On Broadway with his new show called iConfused. It is a really funny take on the current gadget dependant society that we live in and covers a few classic male versus female topics along the way. 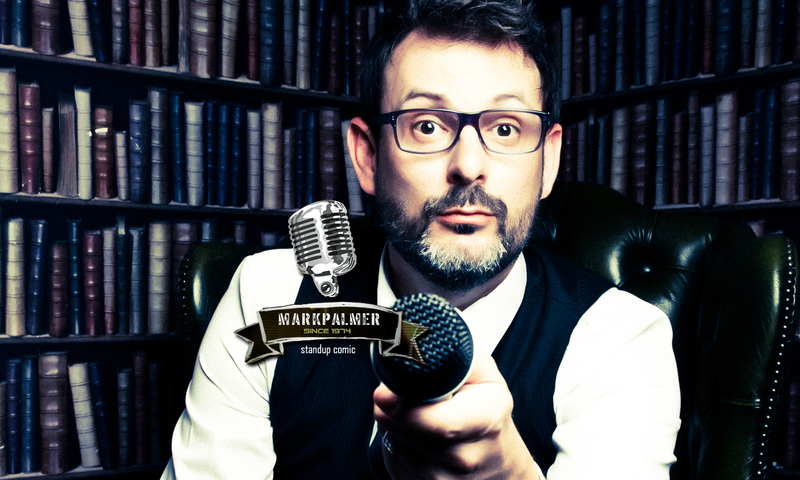 With the world spinning off its axle and going berserk we need humorists like Mark Palmer to lighten our blues. His latest show iConfused is now on at On Broadway in Cape Town and is guaranteed to inject a healthy dose of humour into your jumbled confidence. Palmer’s soothing style and collected sensibility offers a relaxed evening of first rate comedic therapy, where laughter proves to be the best cure. In our world where technology rules our humanity, and smart dictates logic, Palmer cleverly de-constructs our robotic weaknesses and allows us to review our un-smart actions from his comical perspective and sincere honesty. “Palmer’s ability to take us back is where he really shines. His keen observation of the neurotic quirks of every human being shoves a mirror in our faces and allows us to laugh at the dumb things we do on a daily basis. The cleanest stand-up comedy that I have ever seen and, surprisingly, it was just as funny as any other. Personally, I feel that it is far more difficult to have a stand-up act that doesn’t incorporate swearing, cringe-inducing or offensive topics, than one that does. The show is called iConfused and is based on the concept that although all this technology makes life simpler, it still doesn’t answer all the important questions and, in the end, just leaves us all incredibly confused. “Let me say a very big thank-you for such an unbelievable show. We at Allée Bleue were all so thrilled at how fantastic the evening turned out. We could not have asked for a better way to start our first Comedy evening than with you by our side. You have set a very high bar for the remainder of our evenings – I feel sorry for those who are to follow! “Brilliance at it’s best. Sharp & Good clean humor. He was indeed an excellent choice to kick off our Porter Motor Group’s Fiesta Launch in the intimacy of O’Hagan’s at Newlands. Just after Rassie Erasmus lead us onto the field for the reveal. What a superb evening! Mark just brought that something special with his witty performance! Thanks again Mark! @MarkPalmerComic tnx for the wonderful entertainment. Looking forward to the next show! @MarkPalmerComic good luck for the future m8. Ur show was brilliant! Dnt take to long with the next one! @MarkPalmerComic loved your show, very, very clever. Well done! Lol so hard my jaw was in permanent lol-mode, thanks @MarkPalmerComic. You gotta go see his show @ ON BROADWAY. #iConfused. @MarkPalmerComic You were brilliant on Saturday night!! #iConfused is a definite must!! Forgive me for being the loud blonde in front! Hahahahaha @MarkPalmerComic says kids at school with bags on wheels looks like a mini airport. Brilliant show!!! Guys and girls if you haven’t already been do yourselves a favour and go watch @MarkPalmerComic ‘s show iconfused at on broadway!Brilliant! Going to see @MarkPalmerComic in #iConfused tonight. Can’t wait. He is one funny guy! @MarkPalmerComic my pleasure such an awesome night definitely gonna recommend it !!!!! Had an amazing time at on broadway – iconfused with @MarkPalmerComic! You rock! LOL! Wink! Had a great evening at “On Broadway” with @MarkPalmerComic really funny stuff and a lekker lol eve out! 🙂 I would definitely recommend it! DO go to the bathroom before a comedy show. @MarkPalmerComic, you were fantastic! @MarkPalmerComic awesome show last night!!! Was in tears I was laughing so hard!!! Had such a fun evening at On Broadway this eve. Much love & respect to @MarkPalmerComic! Check out his show folks!
. @MarkPalmerComic brought it tonight. If you a fan of good slice of life stand up. Go check it! Tummy clenching laughter @ On Broadway with @MarkPalmerComic! A definite must see!